*You can find more on each of these here. Some of the features of e-prescribing require additional software from the electronic health record (EHR) or e-prescribing vendor. Check with a specific vendor to find out what is required to implement the various e-prescribing functionality listed above. 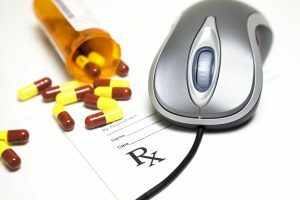 E-prescribing not only provides a direct and immediate connection to a patient’s pharmacy, it also provides additional patient safety benefits by preventing adverse drug-drug and drug-allergy combinations. It allows patients to receive prescriptions more quickly and without having to take a paper prescription to the pharmacy. E-prescribing represents an unprecedented opportunity to reduce healthcare costs and improve the safety and efficiency of a process relied upon by millions of patients every day. To learn more about the benefits of e-prescribing for providers visit the Surescripts website.